A "dead whale," new art festivals, and the National Museum of Natural History. 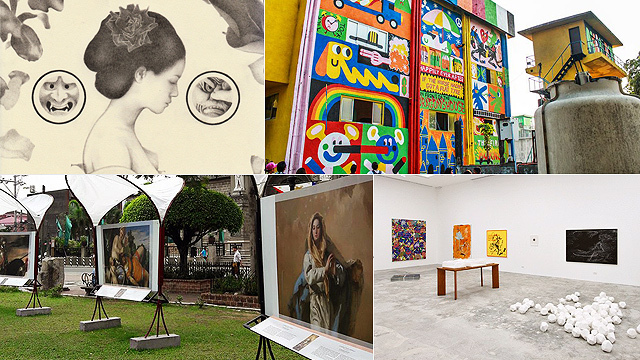 (SPOT.ph) The Philippines' arts and culture scene continues to flourish each year: 2015 saw our return to the Venice Biennale while 2016 marked the birth of new local art hubs. This year, art pieces stopped us in our tracks not just for their beauty but for their meaning, Filipino artists carried our country's name with pride as they ventured out into the world, and more cultural spaces were constructed all over the Metro. We round up 25 remarkable events that prove that the local creative scene is as vibrant as ever. 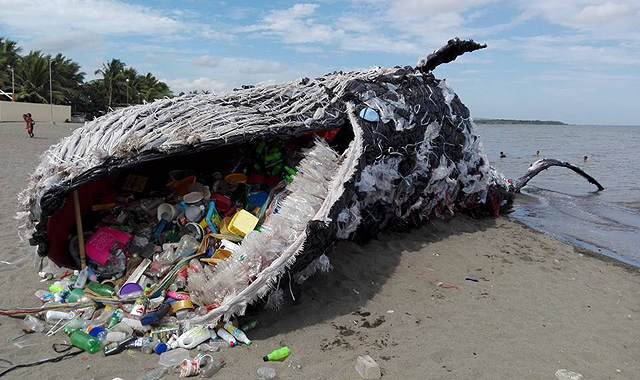 A 50-foot whale "killed" after taking in too much plastic waste was hard to miss—both on the coast of Sea Side Beach Resort in Naic, Cavite and all over social media. The project was actually an art installation made of plastic by Biboy Royong, who used materials from a local junk shop. It was Greenpeace Philippines' way of sending a strong message about our waste problem, and it's safe to say the message was loud and clear. After much anticipation, the doors to the National Museum of Natural History were opened for a day on October 29 in celebration of the historic institution's 116th founding anniversary. The restored and renovated Neoclassical building completes the trifecta along with the National Museum of Anthropology (a.k.a. Museum of the Filipino People) and National Museum of Fine Arts (a.k.a. National Art Gallery). The new cultural hub dedicated to showcasing the Philippines' rich flora and fauna is expected to officially open in May 2018. After spending 11 years in a converted piano factory along Chino Roces Extension in Makati City, Silverlens Gallery moved to a new home on the same street in January. 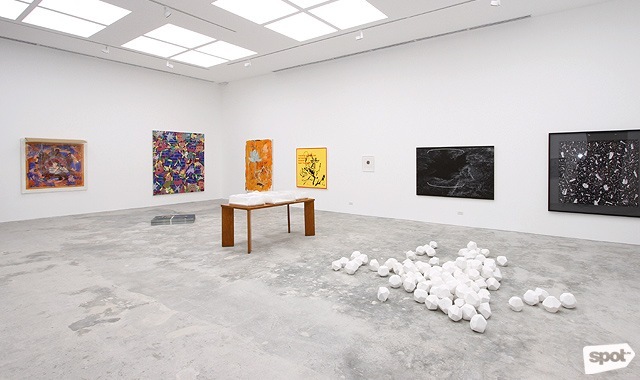 The space features a two-level building with offices, a spacious main gallery, a number of small exhibition spaces, viewing rooms, a storage area, and a pantry. It is illuminated by LED lights that can be adjusted from warm afternoon light, to striking daylight, and to cool light—depending on the mood the exhibit is going for—with just a mobile app. 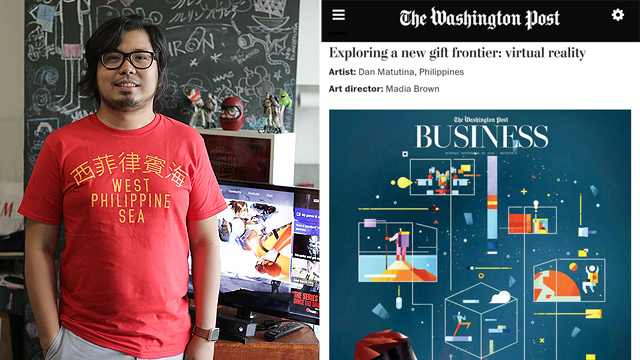 In early 2017, The Washington Post released its roster of "50 Great Illustrations from 2016" and cited a piece by Filipino artist Dan Matutina of Plus63 Design Co., now part of the Hydra Design Group. His commissioned work perfectly matched the American daily's feature on gadgets and technology. Organizers Lisa Periquet, Trickie Lopa, and Dindin Araneta promised a "bigger, better, and bolder" edition of Art Fair Philippines in 2017 and they delivered. Aside from the usual three floors (from fifth to seventh of The Link), the open-air roof deck of the car park was also used to house lectures and art talks during the four-day event. More local and international exhibitors also participated, adding six additional galleries to the Art Fair Philippines family. The 2018 edition is scheduled for March 1 to 4. 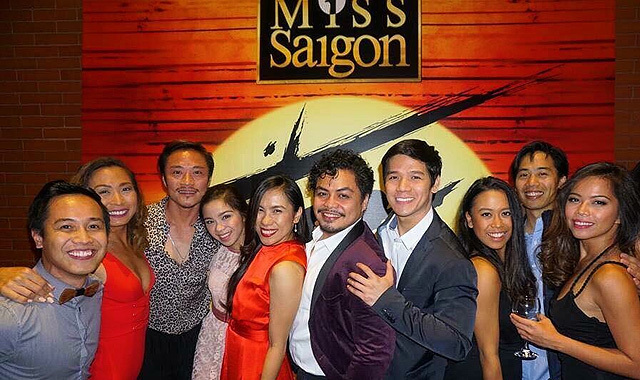 Manila saw a number of foreign theater musicals on the local stage in 2017. 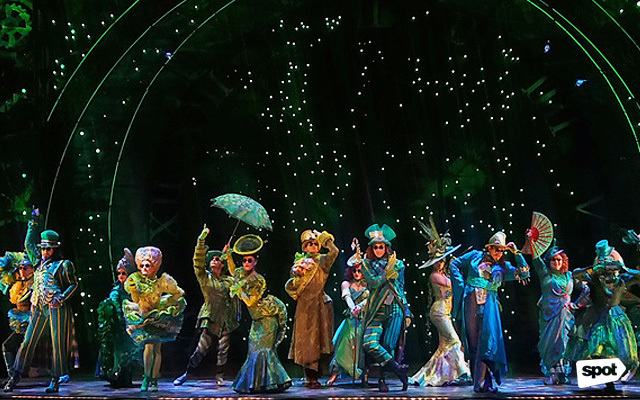 The U.K. cast of Wicked, the West End production of West Side Story, and the first international touring cast of Sister Act graced The Theatre at Solaire in Parañaque City, while Cirque du Soleil's Toruk: The First Flight all left us in awe with its set-up at the Mall of Asia Arena. Next up: The Lion King is coming to our shores in 2018! 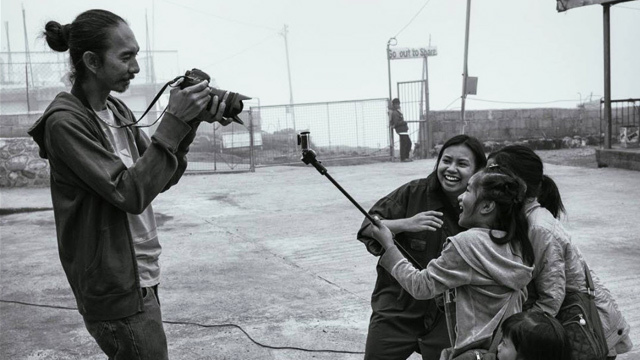 As international productions come to our country, Filipino talent also continues to wow the world. Rachelle Ann Go joins the West End production of Hamilton, which premiered in November at Victoria Palace Theater in London; Lea Salonga stars as the goddess Erzulie in Broadway's Once On This Island, which premiered in December at Circle In The Square Theater in New York City; and 10 Filipino artists including Red Concepcion and Gerald Santos made it big in the U.K. tour of Miss Saigon, which premiered in July at Curve Theatre in Leicester, England. 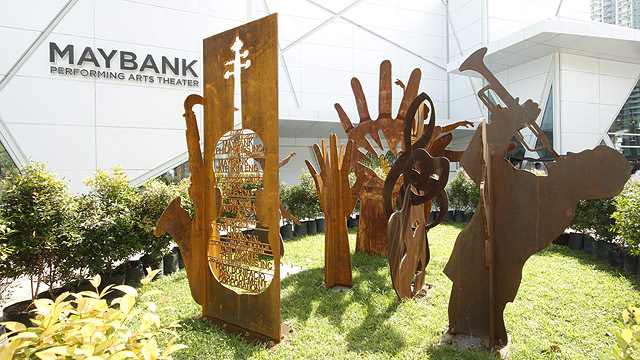 Following the opening of the BGC Arts Center in late 2016, Bonifacio Global City hosted its first-ever arts festival in January. It featured mini-musicals, one-act plays, a dance showcase, and the BGC Art Mart. The festival was also held in June in time for Independence Day and in November. 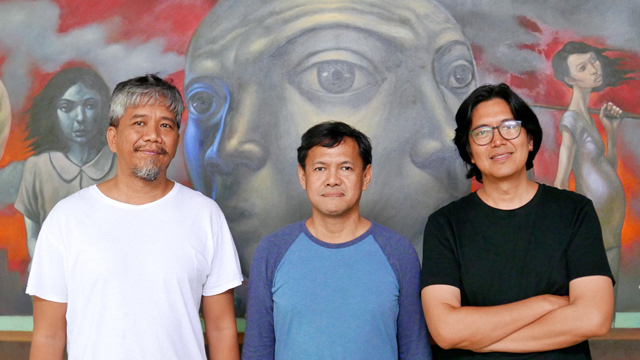 Artists Elmer Borlongan (from Manila), Mark Justiniani (from Bacolod), and Emmanuel Garibay (from North Cotabato) reunited through a large-scale mural presented at Art Fair Philippines 2017. It was in the '80s when the three first crossed paths, often collaborating on politically charged artworks as members of various socio-political art groups. More than two decades later, they created "Tagadagat"—an 8x24-foot artwork that depicts an image of a seemingly motionless boat carrying various Filipino characters and personas. 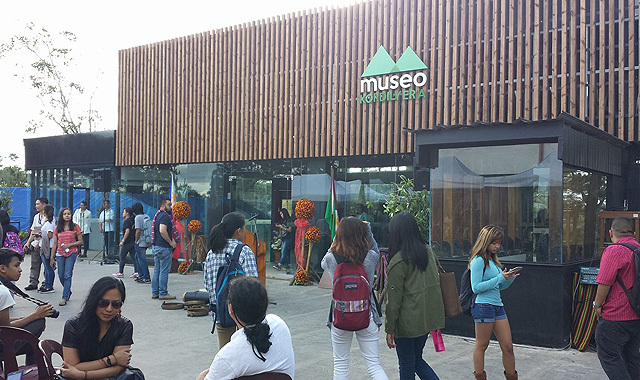 Museo Kordilyera of the University of the Philippines in Baguio was inaugurated on January 31. It is part of the academic institution’s efforts to "cultivate an understanding of the identity and culture of the indigenous peoples of the Cordillera and Northern Luzon as an integral part of the evolving Filipino culture." 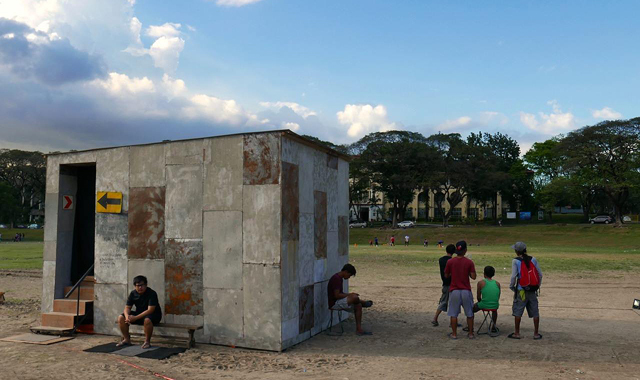 Mark Justiniani's "The Settlement" was a shanty no bigger than 15 feet, wrapped in wood, galvanized sheets, signages, and tarp. You could have easily mistaken it for a barong-barong, but as soon as you entered, you'd be taken aback by Justiniani's trademark works made of mirror and lights creating the illusion of infinite space. 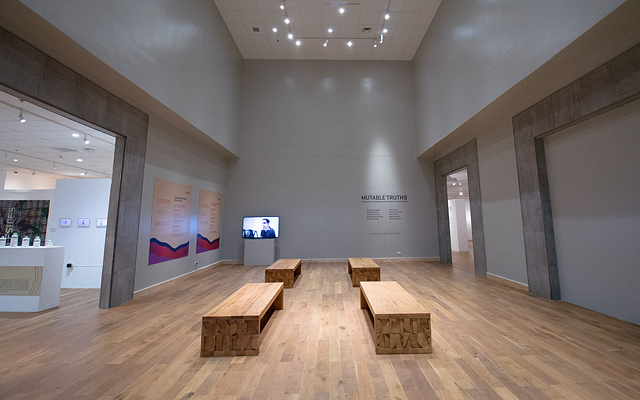 "The Settlement" was on display at the Ayala Museum in Makati in February, the University of the Philippines' Sunken Garden in March, and the Ateneo Art Gallery in November. 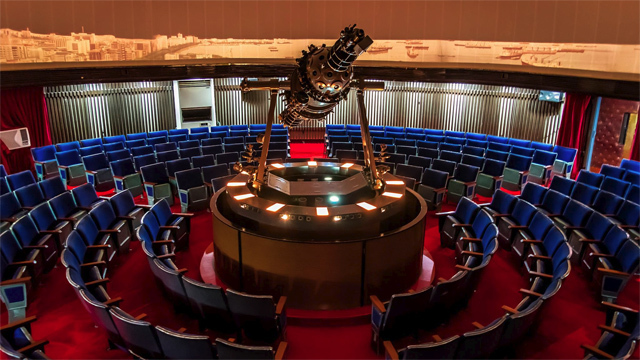 The National Museum's Planetarium launched its hybrid projection system with a month-long free show from March 24 to April 30. The system includes the old 1975 analog projector and a brand new digital one, a first in Asia. A new art festival made the drive to the South worth it. 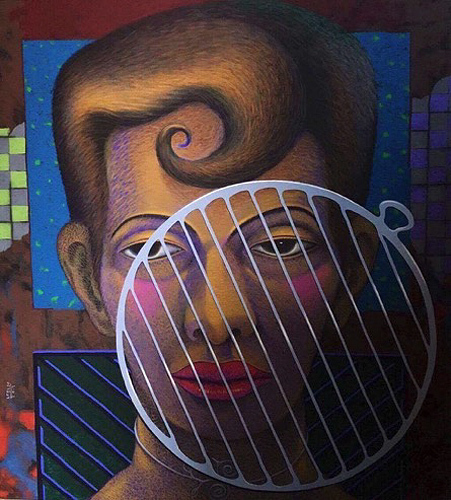 Launched on April 23 at Filinvest Tent Park in Alabang, Art in the South featured works by artists from Muntinlupa, Laguna, Parañaque, Las Piñas, and Cavite. There were more than 50 booths and hundreds of participants. Museo del Prado in Madrid is a world-class art and culture institution that houses a large collection of artworks from the 12th to 17th centuries. 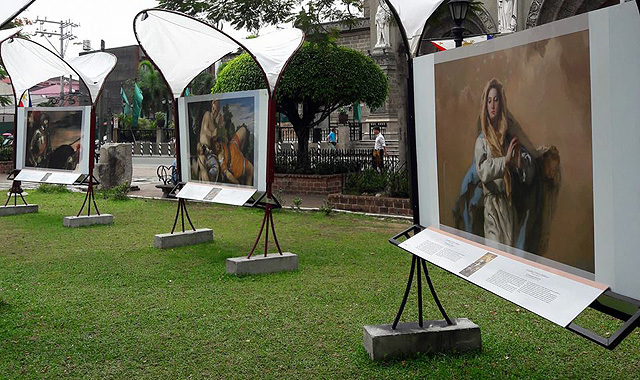 To give Filipinos a glimpse of its collection, El Museo del Prado en Filipinas was brought to Ayala Triangle in Makati in April, then to Plaza Roma in Intramuros in June. The pop-up featured 54 high-resolution reproductions of works from the Madrid museum and informative descriptions in both English and Spanish. 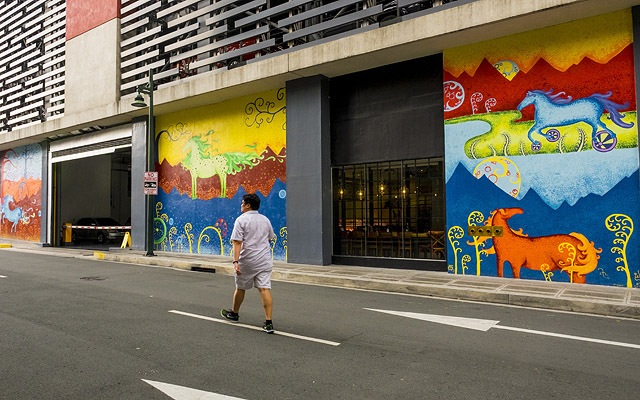 Bonifacio Global City added to its already large collection of vibrant murals and graffiti during the third BGC Arts Center Festival in November. Three murals—"The Way Home" by Solana Perez, "Kapit Kamay" by Biskeg Pangasinan Art Collective, and "Dating Tagpuan" by John Paul Antido—were unveiled during the three-day event. Earlier in the year, SM Aura joined the city's advocacy to encourage public art by holding Art in Aura, a year-long affair that aimed to take art out of the gallery and bring it into urban spaces. 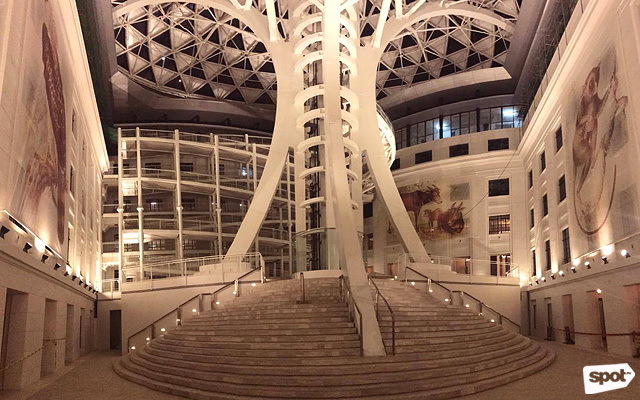 Three Filipino artists—Mercedes Olondriz, Archie Oclos, and Anina Rubio—were invited to design the otherwise plain walls near the SM Aura Grand Staircase. Two respected theater companies in the country celebrated their golden anniversary in 2017: Repertory Philippines, co-founded by Carmen "Baby" Barredo and Zenaida Amador, and the Philippine Educational Theater Association, founded by Cecile Guidote-Alvarez. 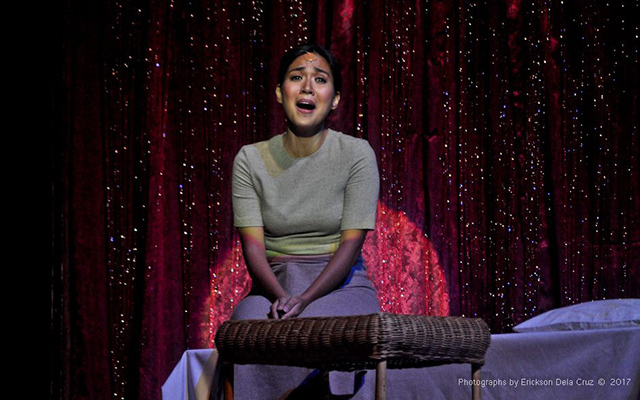 The former focused on English-language plays and musicals while the latter presented only Filipino- and other Philippine-language shows that resonated with the social climate of the times. 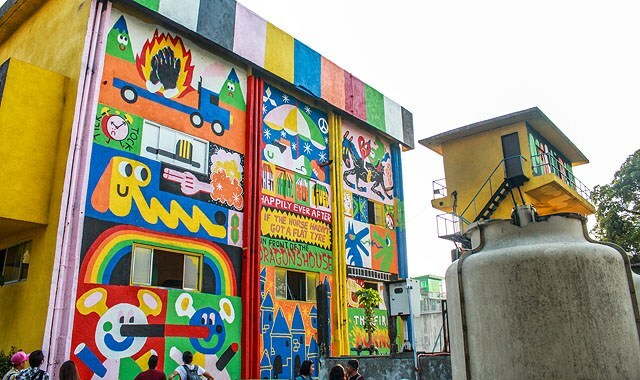 OneRedesign Manila finally completed its Art for Urban Change project, where muralists decorated nine pumping stations along Pasig River: the first one was Leeroy New and Janno Abenoja's "Symbiotes" at the Escolta Pumping Station, unveiled in November 2016. 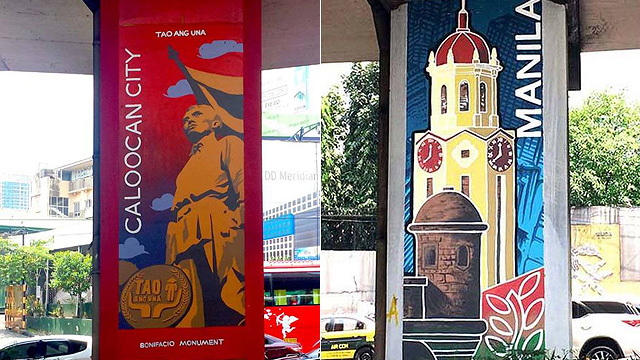 The eight other sites include Binondo ("Suong, Sulong" by Archie Oclos), Quiapo ("Pasig River, Estuary-Sanctuary" by Ged Alangui), Arroceros ("Your World Made Better" by Julius Sebastian), Paco ("Anak Ka Ng" by Eya), Aviles ("San Miguel Through Time" by TeamManila Graphic Design Studio), Valencia ("Alive!" 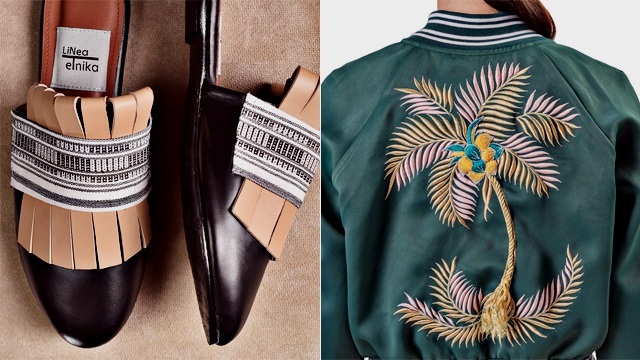 by Kris Abrigo), Makati ("The Horse that Had a Flat Tyre" by London-based duo Malarko Hernandez and Cristina Lina), and San Francisco ("Real Product" by Luigi Almuena). The works can be seen by riding the river ferry or driving along roads and bridges by the Pasig River. You can download a map through the MMDA website. 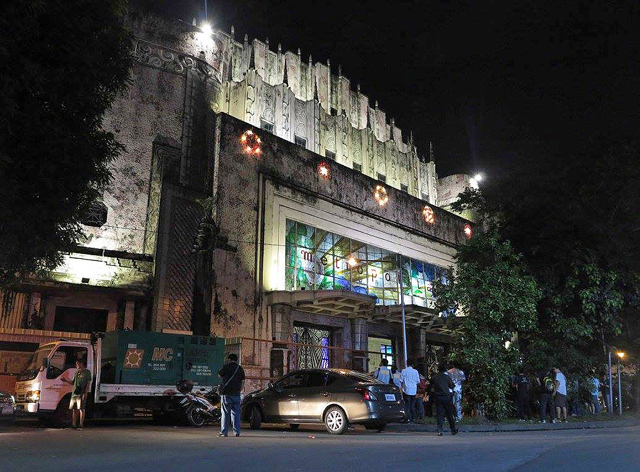 In 2016, the Manila Metropolitan Theater (a.k.a. the Met) commemorated 85 glorious years through façade lighting and electrification of the structure. In 2017, restoration efforts slowly came to fruition as bas-reliefs and decor that everyone thought to be completely destroyed were found. Dr. Gerard Lico, consulting architect of the project, unearthed the Art Deco creations by Italian sculptor Francesco Riccardo Monti, boarded up behind the proscenium arch of the stage. Organizers of Art Fair Philippines and Art in the Park added another festival to the growing art events calendar in Metro Manila through the launch of The Nonesuch: Fine Collectibles and Rarities. 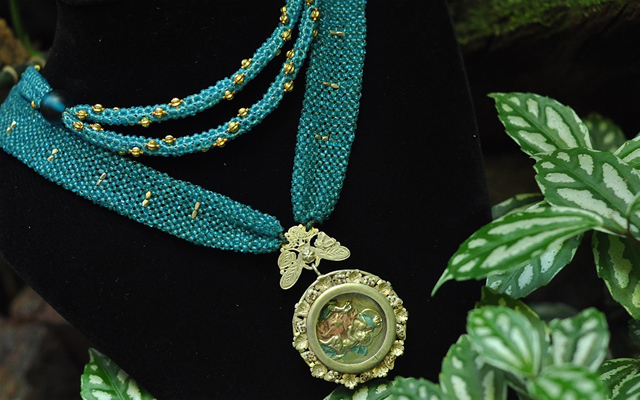 It showcased a curated selection of art, antiques, jewelry, rare books, maps and prints, and other collectibles in October at The Peninsula Manila. Street-art group Ang Gerilya makes traffic more bearable along EDSA through murals under the Kalayaan Flyover, along the thoroughfare's southbound lane. 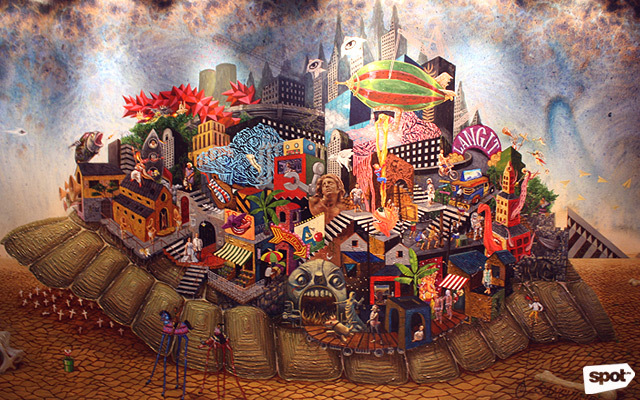 The paintings portray important landmarks in the 16 cities and one municipality of Metro Manila, such as: Caloocan's Bonifacio Monument, Manila's Clock Tower, Makati's city hall, Las Piñas' Bamboo Organ at St. Joseph Parish Church, Mandaluyong's folk legend of tribal couple Manda and Luyong, Malabon's famous tricycle tour, Muntinlupa's world-class medical facilities, and Marikina's shoemaking industry. 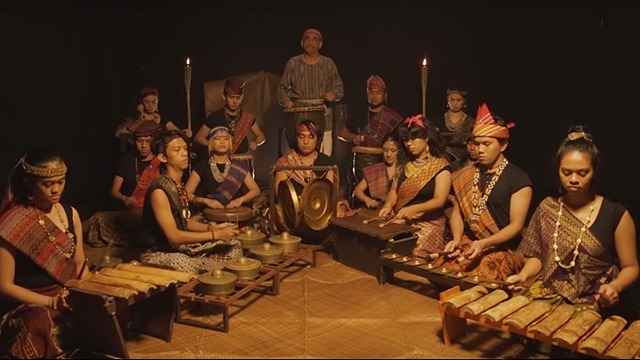 Kontra-Gapi welcomed the seventh season of HBO TV series Game of Thrones through a folk music rendition of its opening theme. The group, also known as the Kontemporaryong Gamelan Pilipino, is the resident ethnic music and dance ensemble of the College of Arts and Letters at the University of the Philippines - Diliman. Sa Mga Kuko Liwanag by Edgardo M. Reyes was originally serialized in Liwayway magazine from 1966 to 1967, then later adapted into the film Maynila, Sa Mga Kuko ng Liwanag directed by Lino Brocka in 1975. On September 30, the musical adaptation by Jose Victor Torres, Em Mendez, and Von de Guzman premiered at Kia Theater in Quezon City. It starred Sheila Valderrama-Martinez, Lara Maigue, and Arman Ferrer. More than 70 Filipino retailers showcased their works in the new artisan bazaar ArteFino in August at 8 Rockwell in Makati City. Participating brands included Abre Linea, Betina, Linea Etnika, Barong Batik, Filip+Inna, and many more. 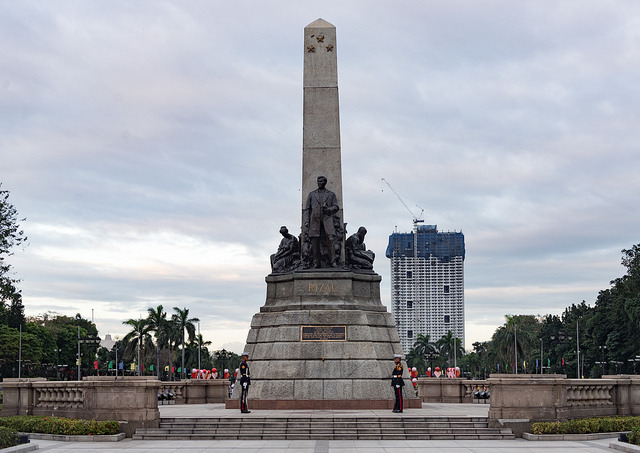 Kärcher, a German-based cleaning company, came to the Philippines on December 14 to bring back the luster of the Rizal Monument in Luneta Park, Manila. This was part of their global initiative called Kärcher Cleans the World to support the preservation of historical monuments and buildings such as the Statue of Christ in Rio de Janeiro, the Space Needle in Seattle, and Mount Rushmore in South Dakota. Areté, a Greek word that roughly translates to excellence and virtue, is the new name of Ateneo de Manila University's newest cultural hub which partially opened in September. The four-floor and two-part structure houses the George SK Ty Learning Innovation Wing, which has the Sandbox Zone, a couple of dance studios with sprung floors, a painting room with adjustable lighting, non-traditional classrooms, the kitchen of the Ateneo - Le Cordon Bleu Institute; and the Arts Wing, which hosts the new, three-floor Ateneo Art Gallery. More spaces are expected to open in February 2018, such as the 900-seater theater, 250-seater black box theater, art studios, and an outdoor amphitheater.